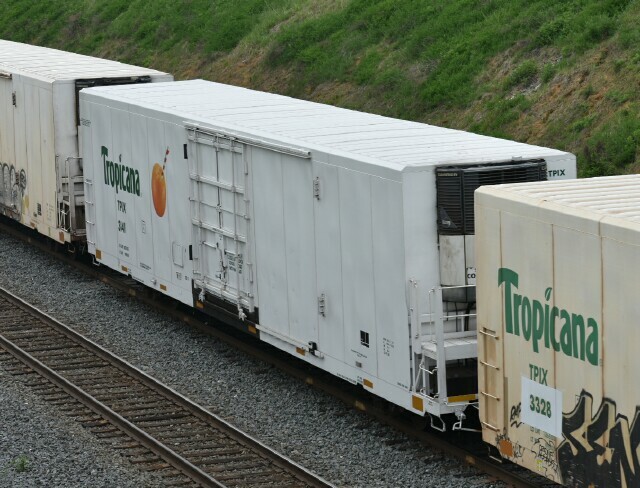 The famous Tropicana Orange Juice train has seen many changes over the years. One of those has been its symbol. 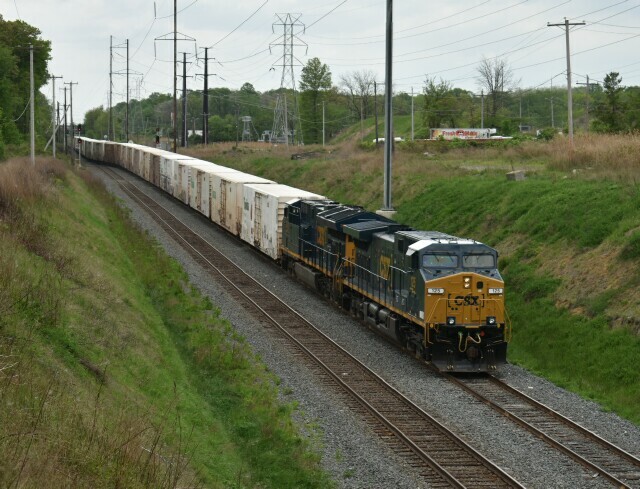 On the northern portion of the run, it had been called CSOJ (as in CSX Orange Juice train) under Conrail, and then under CSX it was known as K650 and Q740 (with additional trains marked as K652 and Q742). 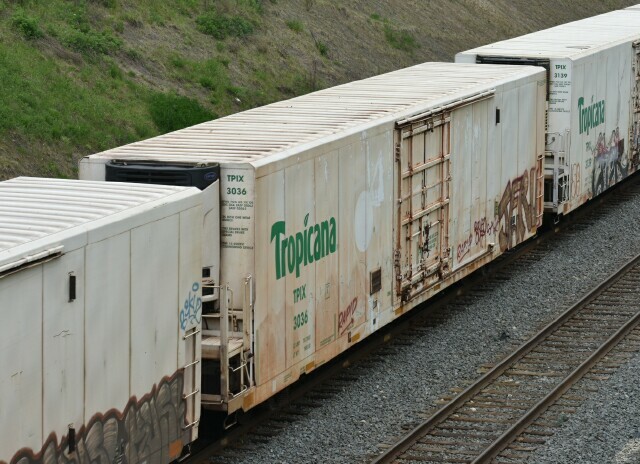 With the latest change, the Tropicana cars have been combined with intermodal traffic on Q140 for the Jacksonville FL-Philadelphia PA portion and then it's pure OJ to NJ. Due to this, the schedule is also different. While previously it was a mid-night train, it is now a mid-day train into Jersey City. 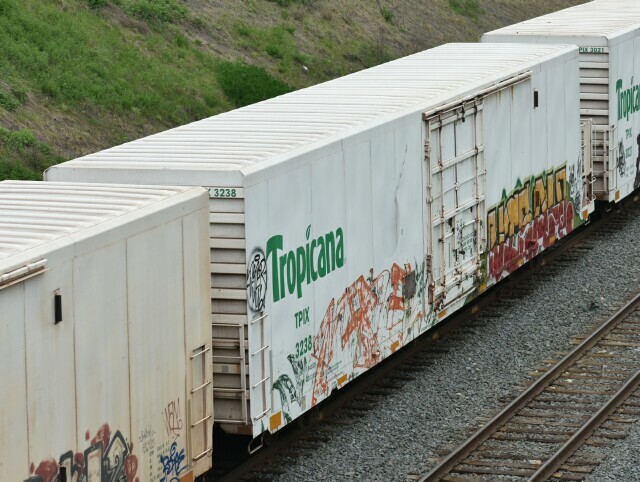 The empties hauled back south by Q141 still travel by night here in the Northeast. 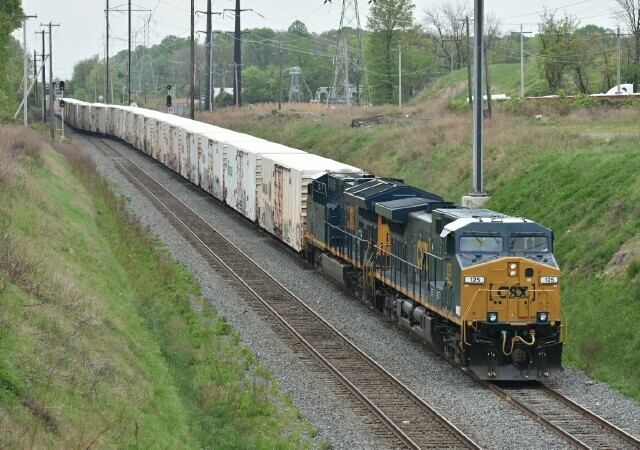 and here is Q140 at CP Berry on May 2 2017 with CSX AC4400CW 125 and ET44AH 3343 as power. It would seem that they are returning the Q140 power on Q141 in a Philadelphia to Jersey City loop. 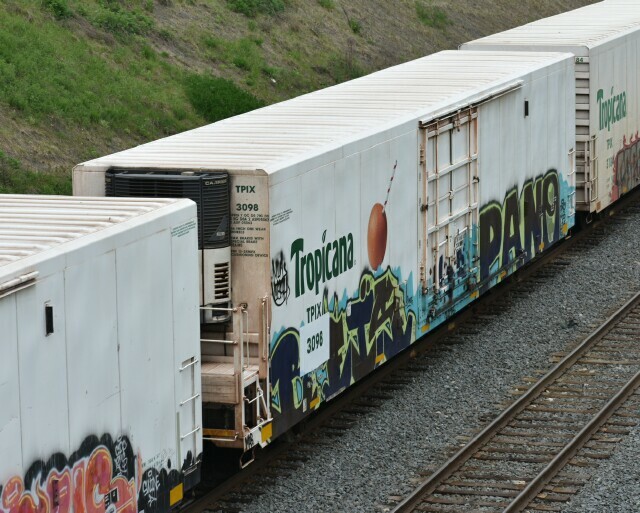 And where once pictures of oranges with straws sticking out of them adorned the cars, we get mostly outlines of oranges with straws sticking of them, and a lot of graffiti. 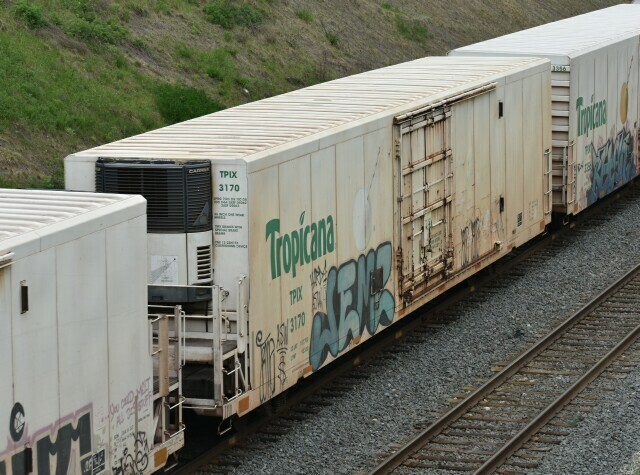 It would seem the bright white cars are graffiti magnets, so it won't be long until the virgin TPIX 3141 is defiled.